Oil prices jumped 6 per cent Tuesday as the markets focused on new hope for an OPEC deal to cut output. Gold also advanced as a safe haven from the uncertainty of US policy under Trump. 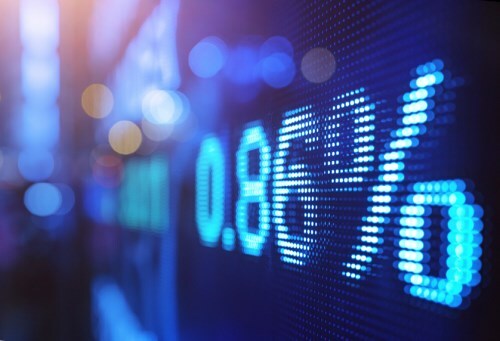 While energy and materials led the gains on the main TSX index but there were increases for all sectors to push the index more than 1 per cent higher. Wall Street also gained but only the tech-heavy Nasdaq matched the strength of Toronto. Europe was broadly higher too while Asian markets had closed mixed earlier in the day. Mortgage lenders were already making changes before the result of the US election but now have another reason to consider how their profits may be pressured. Tuesday saw a rate rise from the Royal Bank of Canada for many of its customers with a sliding scale depending on the length of the fixed rate and the amortization. The increases vary from 25 basis points for a 3-year fixed rate paid back in less than 25 years, through to a 40 basis point rise for a 4 year fixed rate mortgage over more than 25 years. RBC is the second major bank to increase rates this month, following TD’s move following Ottawa’s new lending rules. The Trump factor is already increasing bond yields and therefore mortgage rates, on expectation that his policies will drive US growth and inflation with the Fed making some sharper interest rate rises than previously planned. The Canadian Dollar can now be quoted against the Chinese yuan by BMO Capital Markets as it became the only Canadian bank to gain approval from the People’s Bank of China. The direct link between the two currencies was established by the China Foreign Exchange Trade System with effect from Nov. 14.